We've been to Paris twice together now, once for James' surprise birthday celebration in 2016 and the other spontaneously when Interrailing to Disneyland. With having both trips really short, we still feel like we haven't seen what Paris has to offer, and with having access to direct trains from London to Paris, you just can't go wrong. We are definitely looking to go back this year as we've always wanted to visit the Paris Catacombs, but with The Paris Guy they offer Skip The Line Paris Catacomb Tours which is perfect for those short city trips we love to take. Check out their other tours they have to offer. Known as "the gateway to hell", it's easily the eeriest place in Paris and certainly not the typical tourist attraction, but it instead shows the darker side of such a magnificent city. That doesn't mean it's not extremely popular - all of their tours give you queue jump to avoid the huge crowds at the catacombs! As you know, when we went Interrailing last Summer, we also went to Budapest and when someone would ask which was our favourite country, it was always Budapest for the both of us. 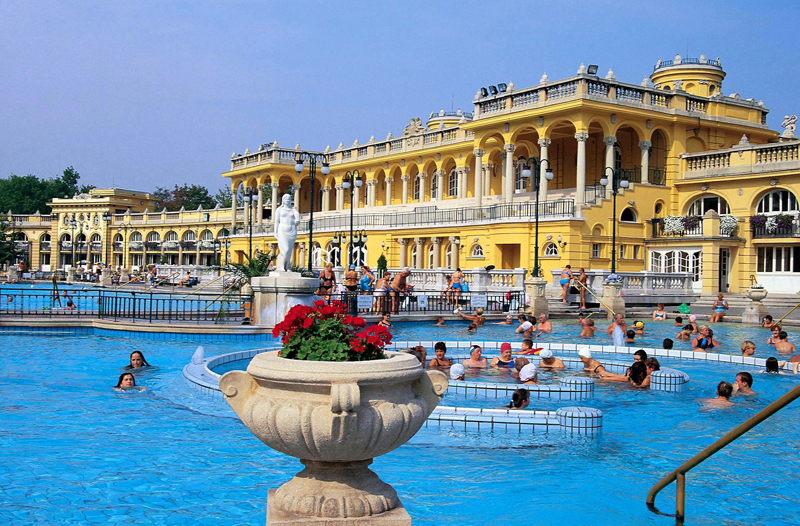 Not only was it the cheapest place to eat in (although the most money we spent in, the food was just too good) but it also has the famous, Széchenyi Thermal Baths, which we did get to visit but in the evening for their SPArty. As great as it was, like honestly an experience we will not forget, we know it is not the same experience as visiting during the day. Beer is cheaper than water! Need I say more? Again, when Interrailing, we also went to Prague and we learnt that back in the day, beer was safer to drink than water which why beer is cheaper than water there. So although we did the whole experience and even going to a Beer Spa, we've always spoken about going back with some friends and head downtown Budapest on a Beer Bike. I love Paris so much and I’d love to go back!! My sister just came back from Prague and hasn’t stopped raging about it! So it’s one I’d defo wanna go to too! We can't wait to re-visit Paris, we'll definitely be going on that tour for sure! Prague is worthy of visiting! I would love to visit all three of these places. My mum and dad had their honeymoon in Paris, and I would love to surprise them with a trip back. Budapest looks lovely, and I am definitely down with the cheapness of Prague! Oh that would be amazing if you could do that for them! Lovely post! It’s always nice to look back at where you have been. I’d love to visit Budapest! We've been some amazing places and it'd be great to re-visit them! We adored Budapest! I just have one question: can I come back to Paris with you?! I was so jealous when watching your Disneyland vlog last year! I am currently in the process of planning a short break to Paris with the boyfriend, he went last summer and absolutely loved it but he didn't manage to get around all of the museums he wanted to see in the short time that he was there, and naturally I am more than happy to join him so that he can experience the rest! Catacomb tours sound absolutely incredible, if a little creepy, so I will definitely have to check out The Paris Guy and his great queue jump deal! The beer being cheaper than water sounds like an excellent excuse to revisit Prague if you ask me! YESSS YOU CAN! Oh my that would be amazing, ugh we'd love to go back to Disneyland - honestly, you're never too old for it! We are so excited, my sister has been wanting to visit the Catacombs and we hope we can re-visit and do that tour, super creepy but I just love the history! Oh no, such a shame but defo the best excuse to go back because we loved Budapest and we for sure would go back again and again! We hope to visit the "gateway to hell" and share our experiences! There's just so much more to see there - defo a great break away, especially with having amazing connection systems from London! You would love Prague, highly recommend it - do let us know if you go, we'd love to share our recommendations! Great post! I am looking forward to going back to Paris next month. I wanted to do the catacombs last time I was there, but the queue was round the block and some - haha! Budapest and Prague are still on my list of places to see, 2018 definitely! This is why we haven't done it yet but the queue jump is defo looking like the best option to do! Look forward to reading about your adventure when you go back! I've never been to any of these cities, but I have friends in all of them. When I lived in Ukraine for a few years, I studied with folks from all over the world and learned so much about them, but never actually made my way on over to visit their countries. I think my first stop would be Budapest, because I've heard so many fantastic things about that city and your write up about it is giving me itchy feet! Thanks for the share! 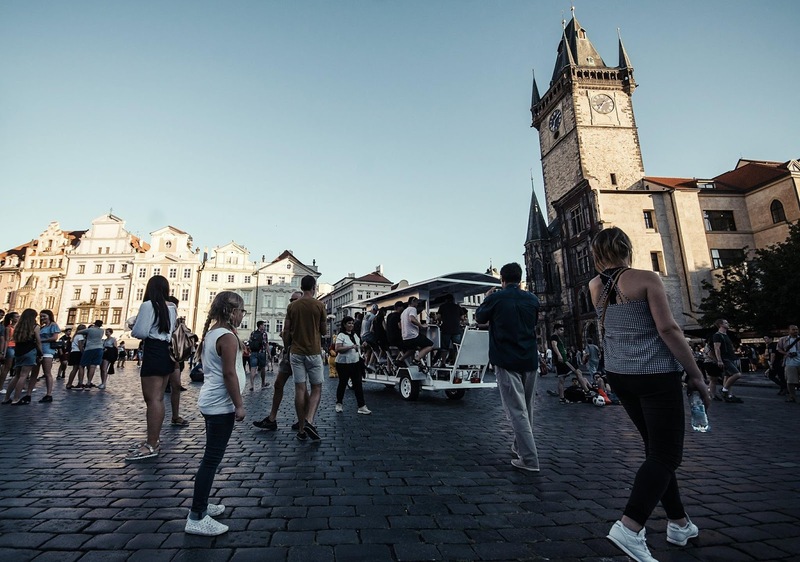 You must visit these cities, we loved them and would recommend them, especially Budapest and what a perfect excuse to go if you have friends in each of these cities! Exactly, we've been so stuck on finding new places to go that sometimes we forget about the cities we've already been to and these are definitely on top of our list to go back to! We'd love to visit New York, hopefully next year for us! I loved Budapest too. Would love to take a visit to Paris and Prague, hopefully someday! Glad to hear you enjoyed your trips and hope you get to go back again someday soon! Budapest was our fave! We cannot wait to revisit these cities and hopefully very soon! Budapest is on my bucket list, and I'd love to visit Prague too! Oh wow, that's crazy but how many that you didn't have to deal with an crowds or queues! We've been a few times and we can't wait to go back! Oh I am DESPERATE to go to Budapest, I had to cancel my trip there a few years ago but ever since I've been dying to tick it off my list! The SPArty sounds amazing - what's not to love between a combination of Spa and PARTY! I'd love go go back to Paris and have a proper wonder round and see all the streets - the architecture there is so beautiful! Prague is an amazing city, it was absolutely beautiful at Christmas so I don't blame you at all for wanting to go back! The beer bike down to Budapest sounds intriguing, I'm going to check it out! Oh no, we really hope you get to. visit soon because we loved it there! The combo was perfect and would highly recommend it! 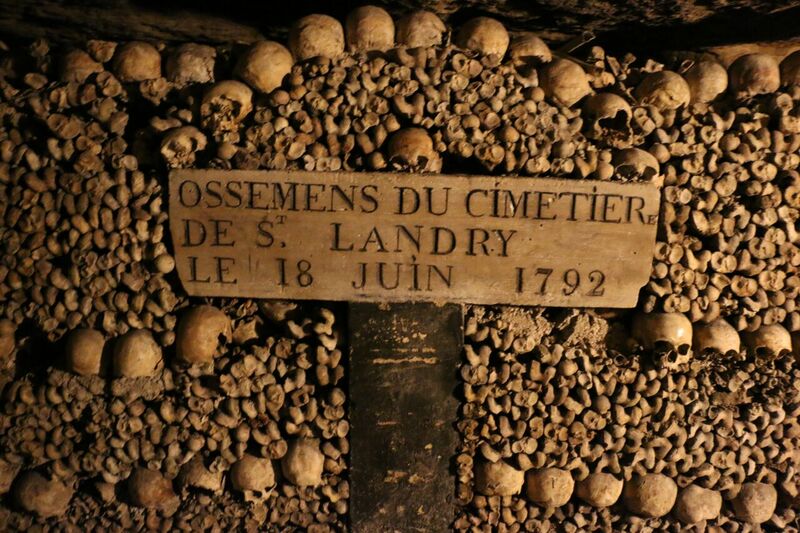 I really would love to do the Paris Catacomb Tours! I saw it on the travel channel once and was instantly hooked - although I'd probably be scared of being down there! My sister had got me obsessed with the Catacombs and I hope to take her with us when we go! Ooh these three places are pretty high on my travel bucket list! Your photos are so beautiful, and your blog posts constantly make me want t travel 😍. Travelling is truly the best thing you can experience!